Want to experience luxury-living inking style? Looking for a dream home that is high on aesthetics and design in Lucknow? 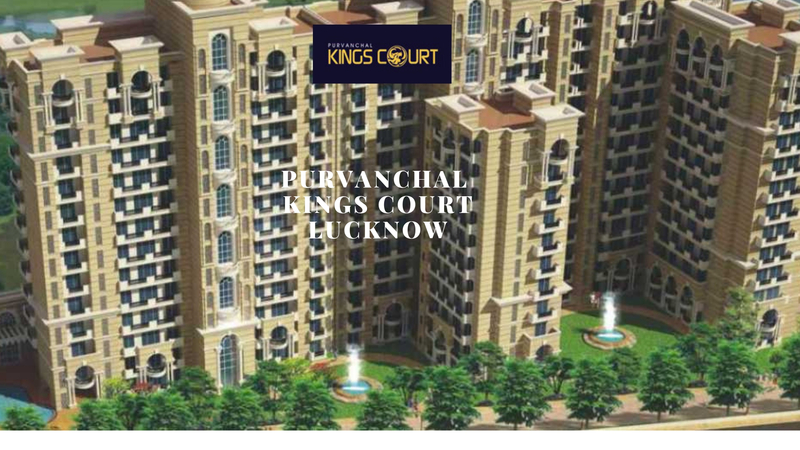 Then you must have a look at Purvanchal Kings Court coming up on the historic city of Lucknow offering landmark residences. The development offers beautifully-designed 3 and 4 BHK luxury apartments in varying configurations designed for the high-end buyers. 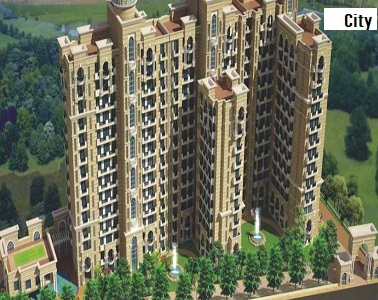 As the name suggests, this is a regal offering by the Purvanchal group located in Gomti Nagar. The homes at the complex are equipped with spacious interiors and premium fittings to elevate the living standard of residents. This is a green residential project set amidst nature and surrounded by landscaped gardens and greenery. The intelligent floor planning of this property is designed to maximize the feeling of privacy. Maximum area is available for the public utilities and sleek finishes of the homes give a cozy feel. The gated complex at Kings Court Lucknow is secured 24 x 7 via manned and video security. Loaded with grand facilities including many features for recreation, health, fitness and socialization, the development has something for every age group. There is a grand clubhouse, swimming pool, meditation area, a dedicated kids’ play area, green gardens, open spaces, indoor and outdoor sports facilities etc. 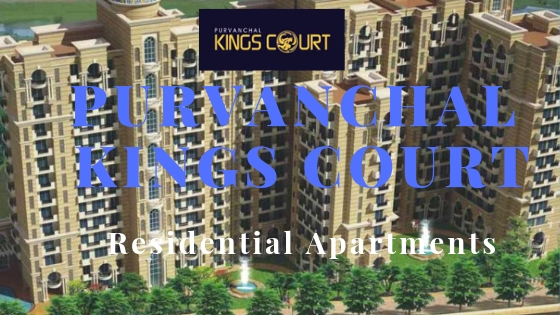 All in all Purvanchal Kings Court Gomti Nagar project has everything to elevate your living standard. Here you will experience a royal life in style with amazing leisure facilities. The location of this property is optimal and comes in close vicinity to the major landmarks in and around the city. Hospitals, malls, schools, shopping centers, restaurants and places of entertainment are located very close to the project and easily accessible. The well-developed transportation system further ensures fast and easy commutation in and around. So what are you waiting? Create a lifestyle that is prestigious and royal by residing in Kings Court. The development will surely turn your dreams into reality and offer a life that is blissful.